Proto Malayo-Polynesian *Pangdan, Pandanus spp. 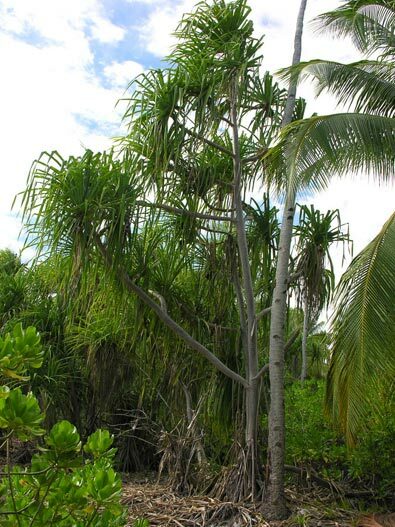 Proto Oceanic *Padran "Coastal Pandanus", Pandanus tectorius, and other Pandanus species. See notes on the reduplicated form "Wharawhara", below. 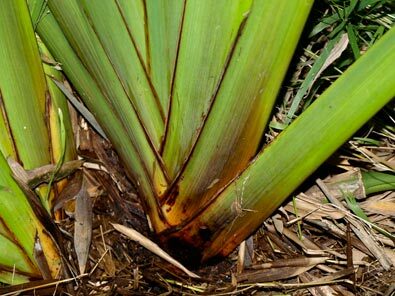 Words ultimately derived from Proto Malayo-Polynesian *Pangdan denote the fragrant-flowered shore-line pandanus or screw-pine, Pandanus tectorius, along with other species of pandanus throughout the Austronesian world. 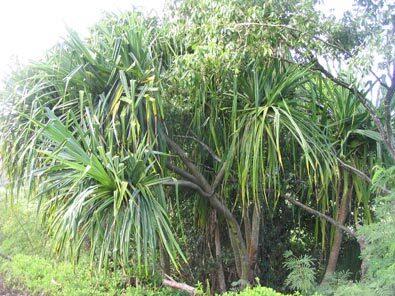 In Aotearoa, one of the few places in the Pacific where Pandanus species are not found, the inherited word and words derived from it have been used to denote plants like the Astelias and flaxes which have sheathing leaf bases reminiscent of the tropical pandanus. In Rarotonga, where the equivalent term, 'ara, does denote the pandanus, it is also the word for the pineapple, an introduced plant with sheathing leaves. The cognate words have acquired that meaning too in some Taiwanese languages. 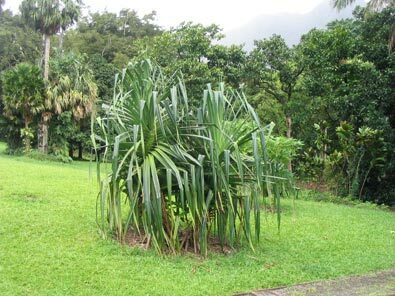 In several parts of Polynesia the reflex of *fara is followed by an adjective to indicate a pandanus variety or species, and sometimes a botanically unrelated plant with characteristics reminiscent of the pandanus. 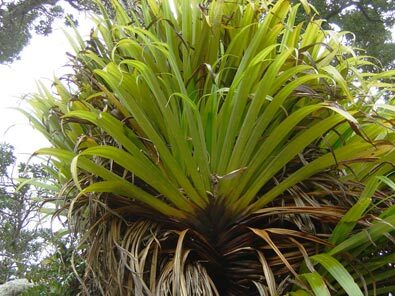 For example, in Niue fā vī is the coastal Pandanus tectorius, fā vao an inland variety. In Hawaii, where the plant may have been introduced by the Polynesian pioneers, the main varieties of Pandanus tectorius are the common hala, and the variants distinguished by the colour of the area surrounding the flowers (yellow in the common variety): hala 'ula (orange), hala lihilihi 'ula red fading to yellowish below), hala pia (small and pale yellow surrounds). The name hala pepe is applied to trees of the genus Pleomele (they look rather like New Zealand neinei, but are more closely related to tī; the leaves are used for making rain capes, in leis, and the wood is used for small carvings). There is also a Hawaiian herb, Waltheria indica, called hala 'uhaloa. It does not look anything like the others! 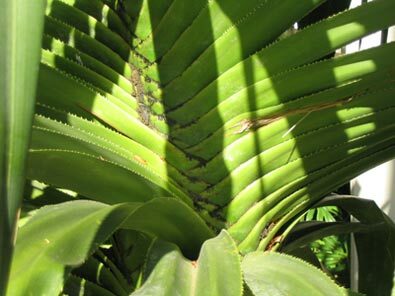 In Aotearoa, words derived from *fara were used to designate plants with sheathing, sword-like leaves reminiscent of the pandanus: astelias and flaxes (Astelia and Phormium spp.). This is very clearly illustrated by the photographs of the bases of plants of Pandanus tectorius and Phormium colensoi, above. 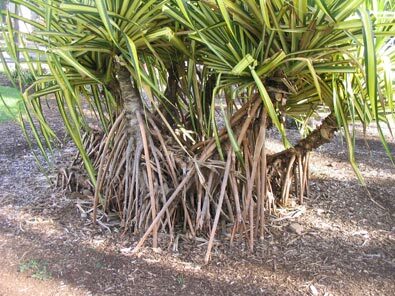 The "Shore Pandanus" has many cultivars, some of which have been described as separate species and then later reassigned by other botanists to Pandanus tectorius. This is not surprising for a species which has been cultivated for diverse purposes for millennia. Because there are plenty of other food sources on high islands, the leaves are the key resource it provides. These provide materials for mat-making, with different varieties for everyday, sleeping, and fine mats. The leaves are also important for thatch, and for fan and basket making. Some thornless varieties have been developed, which makes the leaves easier to handle. On atolls, the varieties which produce edible fruits are also cultivated; the fruit of these varieties has lower concentrations of a chemical which makes that of other varieties impossible to eat without cooking. The cooked fruits can be prepared in a variety of ways, including mixing with other ingredients like coconut meat. The thicker trunks of older plants are important material for house posts and other building purposes. The trunks also provide useful material for spears, walking sticks, and other wooden implements. There is a photograph of one of these cultivars taken by Mike Thorsen on Kiritimati Atoll in the gallery below. The local name reflects its importance as a food source. The bracts of the male flower (known in most places, along with the male plant itself, by a reflex of the Proto-Polynesian term *singano) and the segments of the fruit of the female plant are scented and can be incorporated in leis or used for scenting coconut oil. In Hawaii, the pollen from the flowers was reputed to have aphrodisiac qualities. 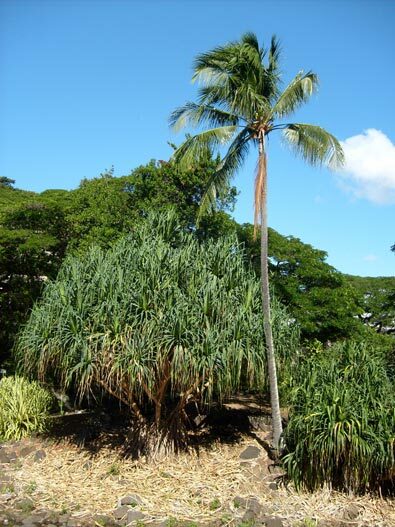 The roots are a source of a variety of medicines in different parts of Polynesia, especially for stomach problems. An etymological note on Wharawhara and variants. The reduplicated root wharawhara is derived from from the Proto-Polynesian word root *fara (itself a reflex of Proto Malayo-Polynesian *Pangdan), by doubling the root (to indicate that something is like, reminiscent of, or a special form of what the source word refers to). In Maori more words have been created by adding an additional element to the reduplicated root to further differentiate species. It might be assumed that this process occurred in Proto-Polynesian times, and if so the source word would be be reconstructed as *farafara. The process itself is something common to all Polynesian (and Austronesian) languages. A number of what appear to be such words are indeed listed together under Proto Polynesian *falafala (from Proto-Fijiic [South Central Pacific], not directly connected with *fara) in the Pollex database. However, with one exception, the apparent cognates of the form wharawhara in other Polynesian languages and Fijian have so little in common with each other (that is, they refer to quite different plants in the various languages in which they have been recorded), that I suspect that the reduplication of the root is what is common to these words, rather than the reduplicated form having referred to a particular plant or group of plants whose name was then carried on to new locations. 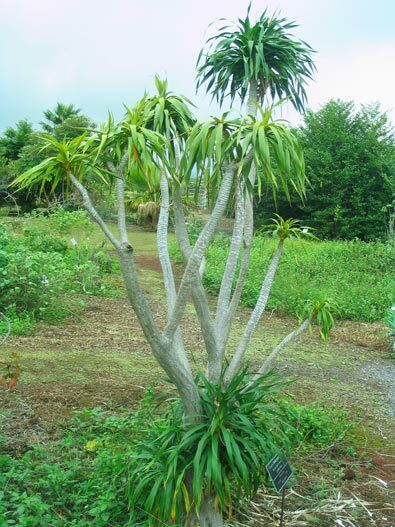 The possible exception is the Samoan word salasala, referring to the epiphytic Astelia formerly known as Collospermum samoense. The only problem here is that Proto-Polynesan "f" should remain "f" in Samoan -- Samoan "s" to Maori "h" would be a regular change, and it is remotely possible that there could be a fusion of etymologies here -- pūharahara from salasala, and pūwhara(whara) from *fara. But that still doesn't explain how fala, which is present in Samoa as the regular reflex of Proto-Polynesian *fara, changed into "sala" in this one word before export to Aotearoa. So what we have here is perhaps simply an interesting coincidence in the names of two closely related plants. 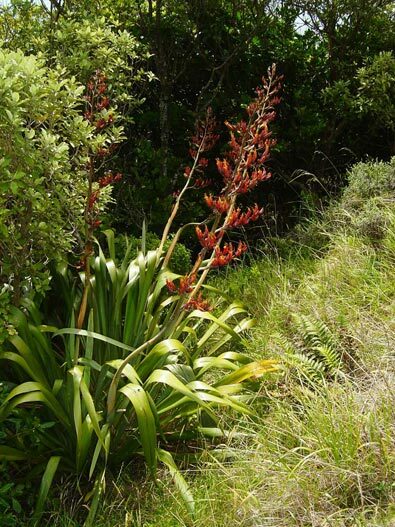 The other contenders for relationship with wharawhara have only the sound of the word in common: Fijian varavara (several plants of the orchid and lily families), Tongan falafala (Dioscorea alata, the purple yam), and Tahitian farafara (a mountain plantain). These other words may well all be related to each other, but it is difficult to imagine that this relationship extends to either Māori wharawhara or Samoan salasala, or that their names are derived ultimately from Proto Austronesian *pangudaN. Pandanus tectorius - "te kaina"
Note the ubiquitous niu (coconut palm) right of centre! Sources of information : Austronesian Comparative Dictionary; Pollex; Domingo Madulid, Dictionary of Philippine Plant Names; Malcolm Ross et al., Proto Polynesian Lexicon, Volume 3; W.L. Wagner et al., Manual of the Flowering Plants of Hawaii; W.A. Whistler, The Samoan Rain Forest; Angela Kepler, Hawaiian Heritage Plants (see Bibliography for publication details).